Are you ready for a wilderness adventure? The new Escape to Walt’s Wilderness experience gives you a glance at the natural surroundings that became the perfect setting to accommodate Walt Disney’s grand dreams. The adventure begins at Disney’s Contemporary Resort Marina where tour guides will greet you with a warm “Howdy! From there, the group will board pontoon boats for an eco-history tour of Bay Lake. After arriving at Disney’s Fort Wilderness Resort & Campground, you will head to the shore of Marshmallow Marsh for breakfast on the beach. 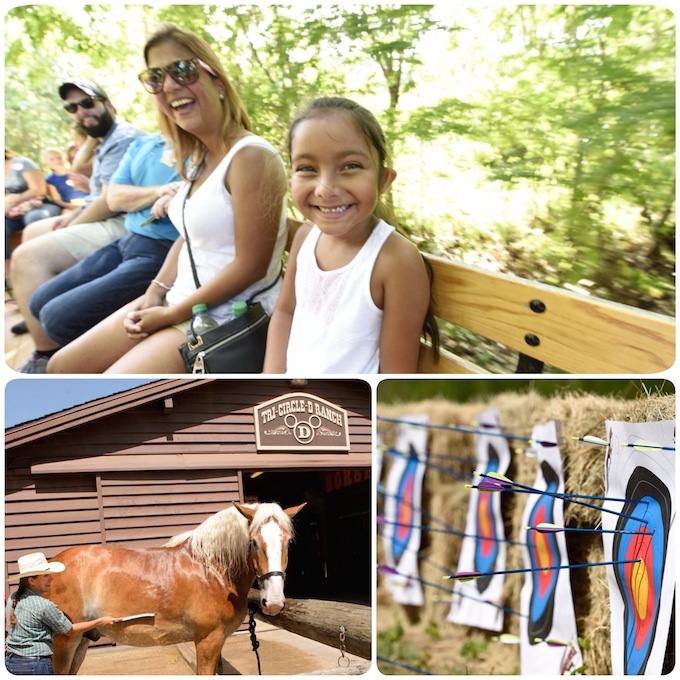 After fueling up, the group will travel by horse-drawn wagon to the Settlement and Pioneer Hall before hiking over the railroad tracks into a clearing in the trees for an archery opportunity. Finally, you will head to the Tri-Circle-D Ranch horse barn to meet the celebrity horses who live and work at Walt Disney World® Resort. This 5-hour interactive experience is available twice a week and costs $109 per person, plus tax. Each experience is limited to 20 Guests. Participants must be at least 7 years of age. Transportation to Disney’s Contemporary Resort Marina and from Disney’s Fort Wilderness Resort & Campground is available for Disney Resort hotel Guests only. A photographer will be on hand to capture photos of the group during the experience. Photos are included in the Memory Maker product. If you have not purchased Memory Maker, you will be able to purchase the photos a la carte. Each Guest will receive a PhotoPass card with a 16-digit claim code, which will include all the photos taken of the entire group during the experience. Photos will be available to view on the Disney PhotoPass website within 24 hours of the event.